Today's post is SO exciting, because I'm sharing our first ever guest post with Ashley Gutschow! You might notice we have the same last name, and that's because she's my husband's aunt! Ashley is so stylish, and she's always dressed to perfection. She loves beauty products as much as I do, and you can tell girl's done her research on today's topic - all things mascara! Ashley will be breaking down different types and brands to help us find the best products for our lash needs! 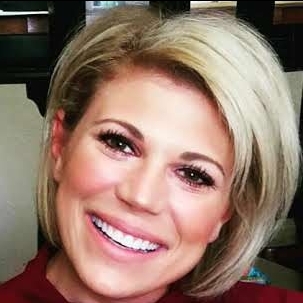 Ashley's lashes always look great, so I can't wait for you to read the results of her research for the best mascaras out there! "My name is Ashley Gutschow. I'm a Christian, wife, mom and makeup enthusiast. Why do I take time to research mascara? Eyes are my favorite part of the makeup routine. Some say it's the brows that are the most important (yes, they're important), but I maintain the most important are your lashes. If done correctly, no one will even notice your brows. I have very long but thin lashes. Always have. So finding the perfect mascara has always been a challenge for me. I've finally found the right match and want to share why with all of you! Most people use wet mascaras. You can tell because they 'pop' and leave a little bit of product that's wet on the end of the wand. You have to wait until the product dries on your lashes until applying more to get optimal results. This is the best choice if you're looking for that long, glossy glamorous look. Downside: Wet mascara can be tough to work with. Upside: Dried wet mascara can be beautifully buildable giving you length and volume if worked correctly. Who knew there were dry formulas??? If you bought one on accident you may have wondered if you bought an old or bad mascara and written it off. WRONG!! Dry mascaras are awesome for building volume. Why? Because you don't need to wait for the formula to dry on your lashes. You can build the volume on the bed of your lashes immediately. Typically this doesn't result in clumpy lashes. This is my personal favorite. Downside: Dry mascaras by nature are flakey. You really have to find the product that is right for you and work with it. Not all dry mascaras are created equal. Upside: Dry mascaras can really give you a natural thickness and length to your lashes. The flutter effect is amazing. If you have few lashes, a tubular formula might be right for you. Ok, but what the heck is a tubular mascara?? Well, the formula literally wraps around your lashes creating a tube. The cool thing is that the tube extends creating a longer glossier look. This mascara is awesome because it will not budge all day long...like all day long. So if you have genetically deep dark circles under your eyes, I recommend this formula because you will never have to worry about flakes or raccoon eyes. Downside: You really can't build this formula, one very thick swipe and your are done. Upside: Easy peasy removal. Water is all it take. You will see the tubes come off in the sink. Don't let it freak you out - those tubes are not your eye lashes!!! So what are my brand picks? To make your mascara last a wee bit longer, place it in a coffee mug filled with warm water. To take off your make up, do not use the coveted makeup towelettes. You'll find yourself mindlessly tugging at your eyes and eyelashes. Never tug at your eyes and lashes.... just go on and use the Neutrogena Oil Free Eye Makeup Remover. A gentle swipe or two, and you're done. To make sure you've covered all your lashes, sweep the backside of your lashes in an upward motion. Not only will the wand grab all the lashes but it will help to curl. Lastly, we all take great pains to grow our hair, get rid of wrinkle, acne, scars... why not focus on our lashes too? Y'all Rodan + Fields lash serum is no joke. Invest in this product. If you do, it really won't matter what mascara you wear." 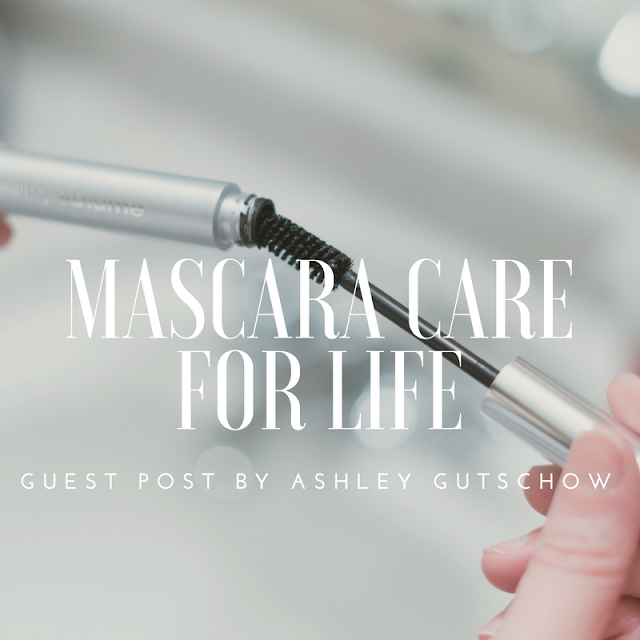 Thanks, Ashley for sharing everything we could possibly need to know about mascara in today's post!